How are you beautiful ladies and gentleman doing on this beautiful day? I hope your day is blessed and filled with the desires of your heart. Take a little time out today and every day to be thankful for waking up to see another day. Thank GOD for that gorgeous hair you rock. If you don't have much hair, be thankful that we now have various types of weave to style your hair in many desirable hair styles. Guess what; in most cases, no one will ever know it's weave. But people let's start having some hair etiquette about ourselves. Have boundaries you want cross- For example; keep your hands out of people hair without their permission. Don't just walk up to someone pulling their hair to see if it's weave. That"s just RUDE - PURE D RUDE. You hear what I'm saying, you just don't do that. Stop hating on someone's style - If you like it, compliment the person on the style or keep it moving. Find out what limitations your hair may have. - Have a consultation with the hair stylist. Discuss the type of styles that may work for your hair type. Just because Suzy Mae can rock one style, don't mean everybody can Rock it. We all have different thickness, texture, & length; therefore, we may wear different things to compliment our face. Use good quality hair - if you want a professional style invest in quality hair. Cheap hair does not curl well, nor last as long. Listen to grandma's advice on haircare. Thanks for taking the time to read this short article. Now spend just a little more quality time & view this video of a variety of hair styles that may be just right for you or someone you love. 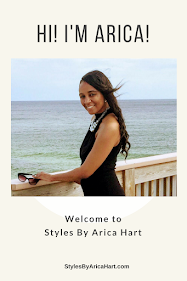 Get intimate with your hair style; so that it satisfies your needs.. Have a blessed day & view the video of multiple creative hair styles by Arica Hart below ! !